Oh yes, I know, craft beer is the thing. “Good” beer is the best. People love to hate on the big boys these days, and that includes beers. The old American light beer standbys are taking a bath, both in sales and in reputation. People want local, different, higher alcohol, and a whole host of other things that I, too, and all about. I love it all and I love to try it all. But what if on certain days you just want something easy, something simple, something familiar, and something cheap? Craft beer does not really fit the bill. You know what does, though? 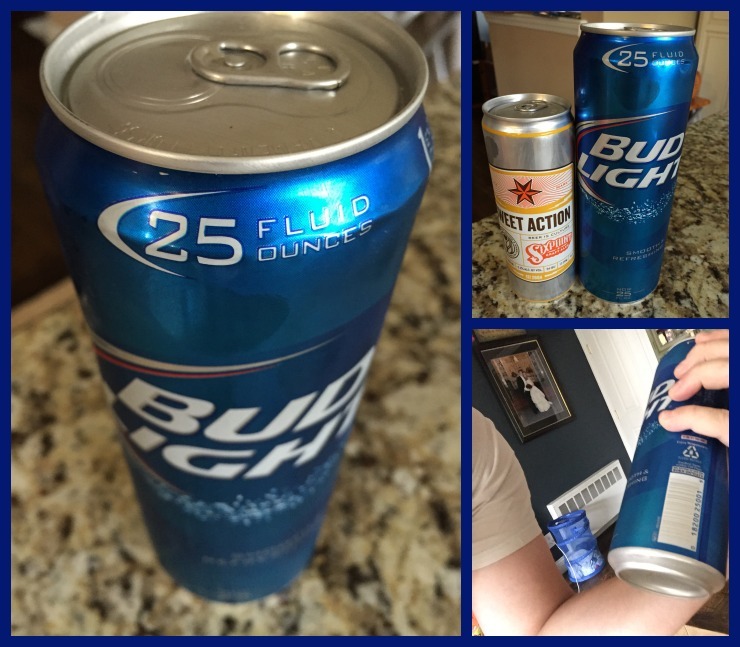 Bud Light in 25 oz cans, that’s what does. Are you kidding me with this monster? You bet I’m Up For Whatever!!! Wait, did I just blow your mind right there? Were you expecting me to mention a beer that’s made from artisanal rain water from the Green Mountains and brewed to 1207 Ethiopian brewing methods? Well, maybe next week, but not this week, baby. Some key advice, drink it fast because it wants to get warm, but at the same time, me thinks you will be in it to win it when you pick up one of these bad boys. Revel in the ease of it all, revel in the fact that you are slugging down an American icon that the world over loves (it’s true, Bud, Bud Light are huge all around the world). The best part of it all, other than you feeling like you’ve gone back in time to a land before $9 pints and a guy with tattoos and a handlebar moustache telling you to drink local…I picked up two (2) of these at a local 7-eleven for $4. So that’s 4 plus beers for $1 each…seriously people, you can’t beat that. I mean, look at the size of this thing. It dwarfs my little Six Point Sweet Action like it’s BL’s job to embarrass all “little” beers. It’s massive, and it goes down easy, especially when ice cold. Plus, you could do a few curls with it before you knock it back and feel a little better about yourself. Go ahead, give it a try. Craft beers are awesome, and I love having it most of the time. But you’ll thank yourself in the morning if you stop by your local 7-eleven. You know you will. Be honest.